This past festival, director Jay Cheel debuted his 14-minute short film at the Scotiabank Theatre, among eight other films selected for the Short Cuts Programme 07. Twisted delves into one of the most popular urban legends in St. Catherines, Ontario. 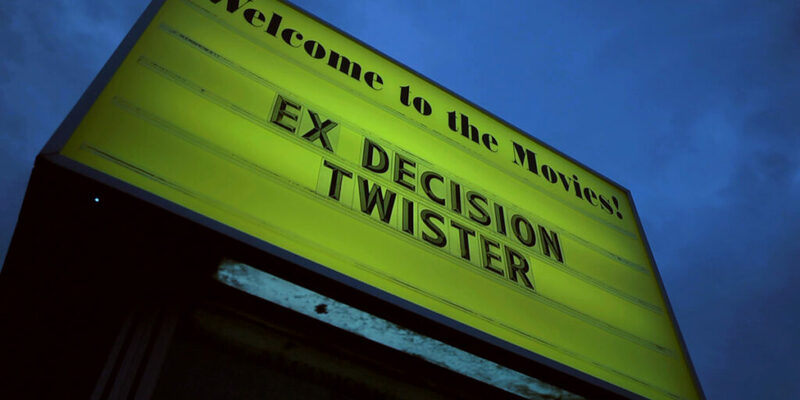 Twenty years ago, on May 20, 1996, witnesses say a tornado hit a drive-in movie theatre, destroying one of the screens playing the hit film, Twister. Coincidentally, the disaster struck at the same moment it did in the film, when a drive-in was taken out by its own tornado. But, no one seems to know for sure, as their memory permits. Could it have happened when they say? Or did the tornado just miss the mark, happening before the drive-in was even open? It turns out, we will never know.